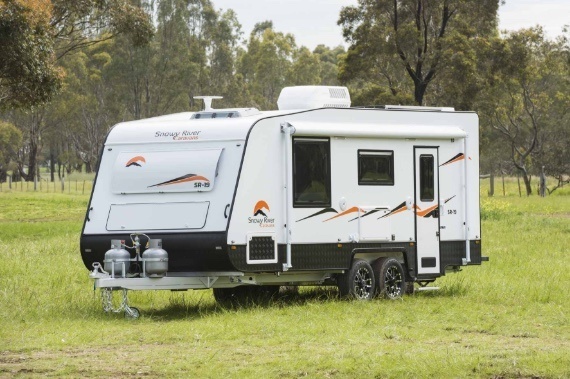 At Snowy River Caravans, we build quality vans that are suited to the demanding Australian conditions. 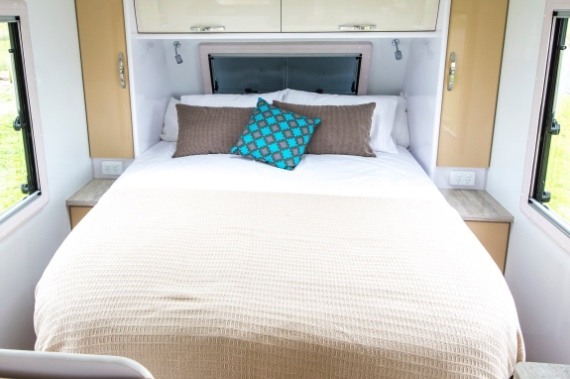 Our caravans are constructed with exceptional attention to detail and included fully welded aluminium frames and fibreglass exterior for increased strength and durability. 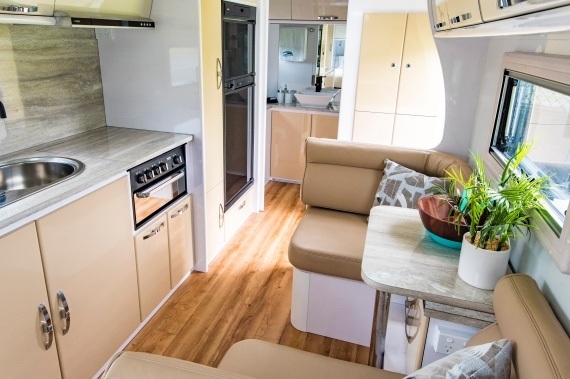 The SR19 is the most popular size of caravan on the market and offers plenty of space for touring. 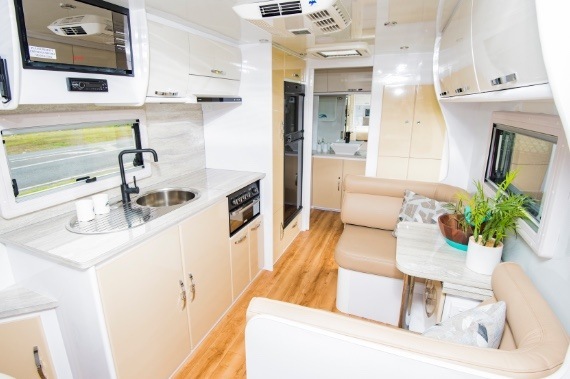 With a queen island bed as standard, the SR19 features storage cupboards under the bed, full floor to ceiling pantry in the kitchen and a 3 +1 cooker top with mini grill. 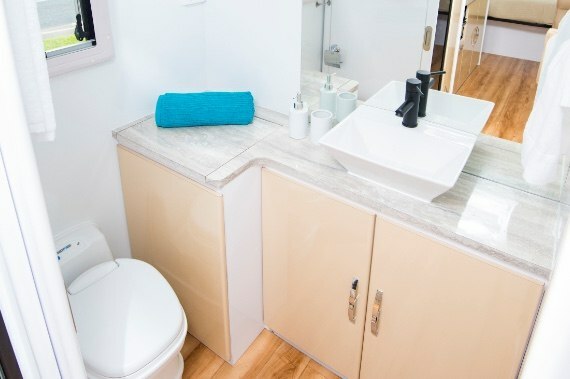 The Café style dinette offers ample dining space, and a convenient top load washer is also included in the bathroom. For all your entertainment needs, there’s a Jack digital TV antenna and a 22” flat screen built in. This SR19 also comes with front boot and tunnel boot. 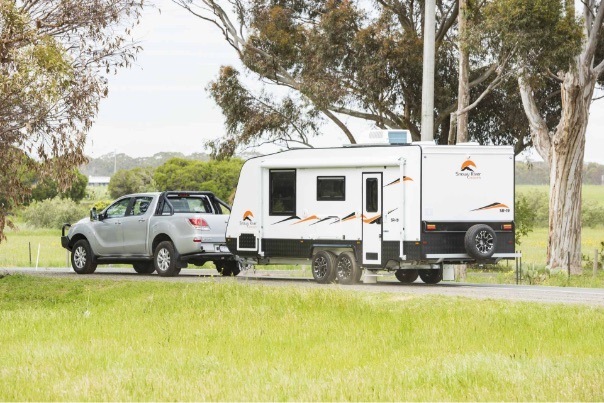 The SR19 offers the easy towing of a double axle but with the features and functionality of a much larger van. Standard built on ALKO’s Australian built independent rubber torsion suspension.